City Councilmember Curren Price and the University of Southern California invite you to an informational meeting of the proposed street closures for the remaining 2014 USC home football games. Hoover Union Triangle Plaza meeting tonight! Let's discuss the “Island of Lights” project for the Hoover Union Triangle. walk through Gate 33 of Coliseum to enter boardroom. 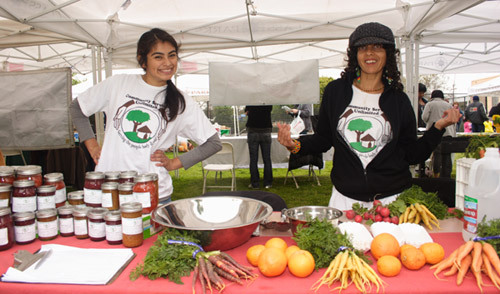 This free Health, Fitness and Family Fun Festival will be held on Saturday, April 26, 10am-2pm at Marting Luther King Jr. Recreation Center, 3916 S. Western Ave.
WHAT: The 19th annual Los Angeles Times Festival of Books, the largest and most prestigious public literary event in the country. Don't miss the opportunity to experience the best of Hamlet as it was meant to be experienced--on the stage! Soliloquys, Scenes, Spookiness and Shakespeare. Come enjoy the antic dispositions! To mitigate traffic congestion after the USC football game, some streets around Expo Park will be closed to get game traffic out of the neighborhood.